You finish your last final, the bell rings, and finally—it’s summer! The sun is shining and you feel great, and you push the thoughts of school assignments until the last week of August. Unfortunately, the 2-book minimum that all IHA girls find themselves assigned with becomes incredibly difficult to complete when it is pushed off until the week before the school year begins. Luckily, if you strategize well, summer reading can be a breeze and even enjoyable. Though most girls are required to read two books for their classes; it is always a good idea to read more than that. The extra credit that the assignments give you will definitely help boost your first marking period grade as you transition into a new school year with new, more difficult classes and different teachers that you are not yet adjusted to. Reading in the summer is a great way to keep your mind sharp and to help expand your vocabulary. The best advice that someone can give you about summer reading: Do not wait until August to start reading! You will find yourself miserably skimming the seemingly endless novels, and will end up not absorbing any of the information. Considering that you most likely will have to do some sort of project associated with the book, it is important that you fully comprehend and retain the material. 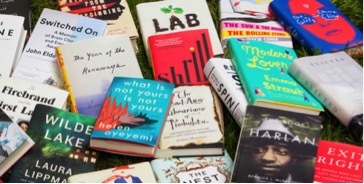 If you plan on reading two books for summer reading, it is probably best to start in early July, that way you give yourself a lot of time to finish the books, which are perhaps not the most appealing to your literary tastes. Should this be the case, make a schedule for yourself and stick to it; self-discipline is incredibly important and useful in high school and beyond! By starting reading early and not forcing yourself to read 100 pages of the novel on the final days of summer vacation, you will discover that it is much easier to get through the books. As a junior who has gone through three summers of summer reading assignments, I have found that it is best to start my summer work in July. It is of course important to give oneself a couple weeks to recover from the challenging school year, but after July 4th, I sit and create a reading and assignment schedule to keep myself on track. As someone whose family often vacations in August, it is important that these assignments are completed before I go on vacation, because the last thing any of us wants is to ruin our vacation because we haven’t yet finished our summer reading book. Summer assignments may seem like a damper on our break from school, but if you pace your reading, discipline yourself, and make an honest attempt to absorb the information, you will find that it can be enjoyable and a great way to bump up your first marking period grades! So this summer, instead of pushing your reading to the last week of summer and spending your last few days of freedom trapped inside, take it little by little and make the most of your summer!